There are three separate players named Shaquille in the Rivals 150 prospect rankings, and this is no accident. The Millennials are done. 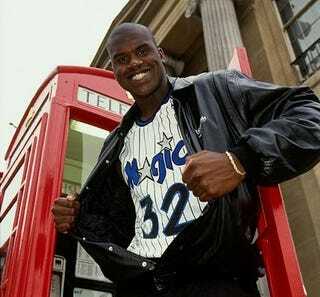 It's time for Generation Shaquille. The name "Shaquille" is a variation on Shakil, Arabic for handsome. But until 20 years ago, there weren't enough Shaquilles in America to make a dent in the census. That all changed, meteorically, in the early '90s. As young Shaquille O'Neal made a name for himself at LSU and then in Orlando, parents across the country started using the name. At its peak in 1993, when Shaq was named Rookie of the Year and released his first rap album, "Shaquille" was the 181st most popular boy's name in America. Those Shaqs, including Goodwin (Memphis), Cleare (Maryland), and Johnson (Auburn), are now 18 and 19 years old and hitting college. There's a postscript to the rise of the Shaquilles. The name quickly tapered off in popularity, dropping out of the top 1000 in 1997. It was around that year that the name "Kobe" made its appearance on the charts.